Provide pictures of snowmen with a different number written on each snowman. Print snowflakes from ClipArt or the internet. Have the children cut the snowmen and snowflakes out. 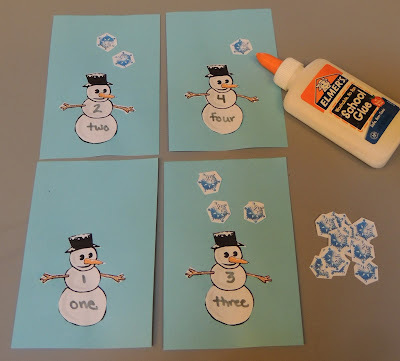 Then have them glue each snowman to a different piece of construction paper. 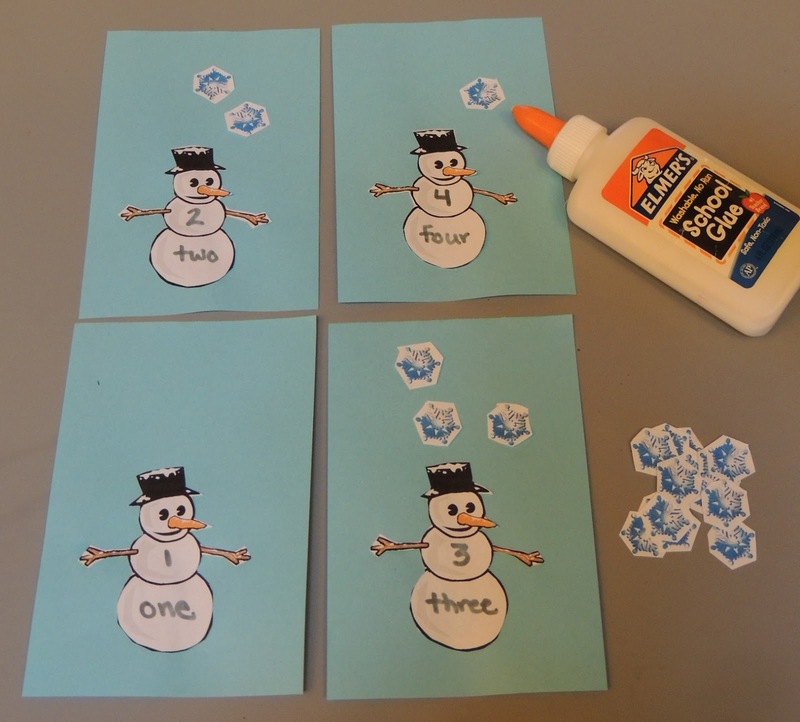 Allow the children to glue the correct number of snowflakes above each snowman.